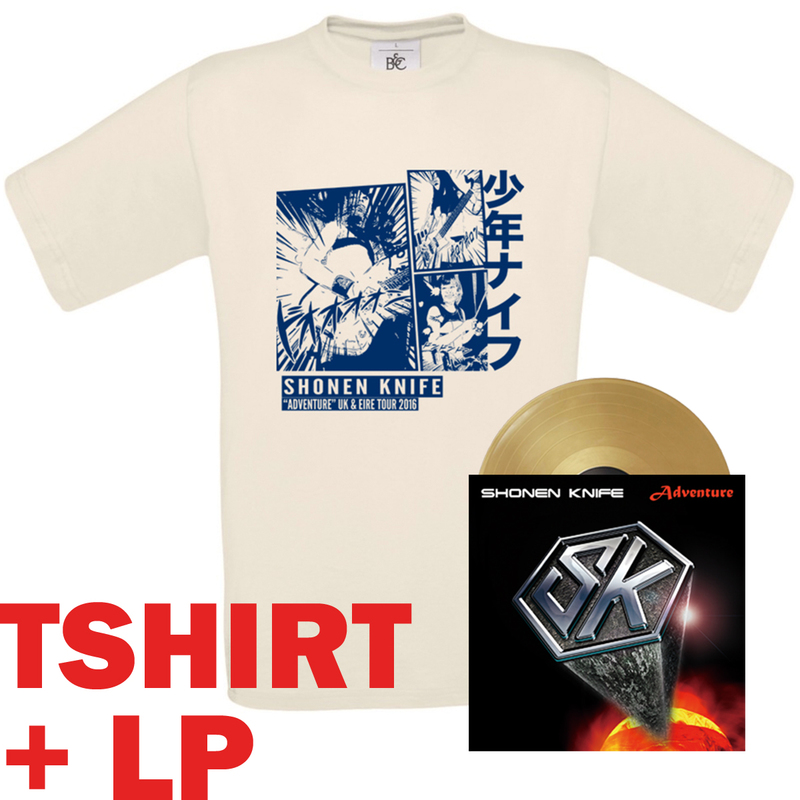 Damnably is stoked to announce the limited edition (250) pressing of Shonen Knife’s ADVENTURE in Silver or Gold 12″ Vinyl with 35th Anniversary UK Tour T-Shirt + Poster. *Please note that this is a Pre-Order and these will be posted out in early September with insured Tracked & Signed Royal Mail delivery. Includes unlimited streaming of Adventure via the free Bandcamp app, plus high-quality download in MP3, FLAC and more.